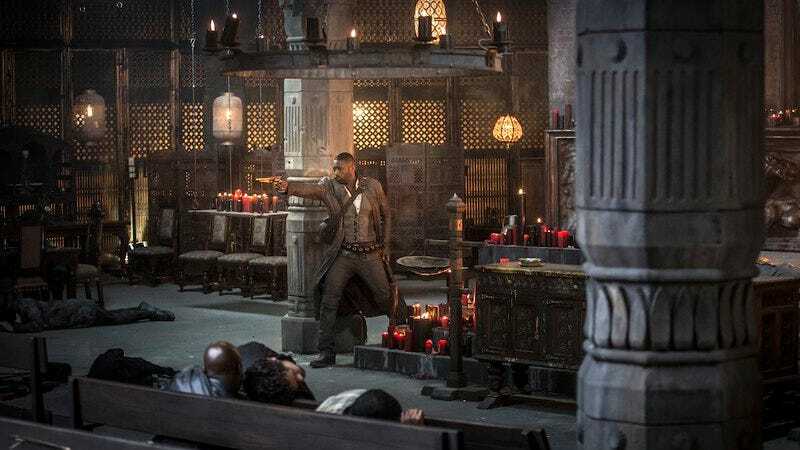 A new story Variety suggests that production of the Dark Tower movie has been even more troubled than some people might think, with test screenings supposedly going very poorly and studio executives personally stepping in to recut the film, but director Nikolaj Arcel and the executives in question deny that anything out of the ordinary went down. The Dark Tower saga is weird and complicated, after all, so it would make sense that condensing it into a movie would also be weird and complicated. Either way, Arcel still seems confident in his film, to the extent that he still thinks the TV series prequel/side-story thing is still going to happen. It still seems too early to say that the Dark Tower TV show will definitely air somewhere at some point, but the people working on it are confident that it will happen at least.